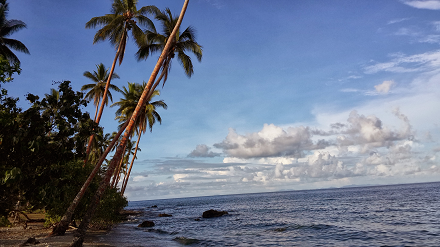 The Mamara site consists of 1160 hectares of beachfront land and is located some 7 kilometers west of Honiara. The land is 75 year leasehold title. The waters offshore from the site is called Iron Bottom Sound because of the extensive number of wrecked vessels and aircraft from the Battle of Guadalcanal during World War II. The wrecks have the dual benefit of attracting WWII veterans and their families back to the Islands as well as providing an excellent and internationally recognised scuba diving facility.